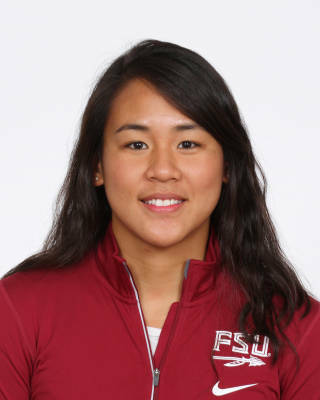 Qualified for the NCAA Championships in the 200 breast…competed in her first career ACC Championship final by placing fifth in the 200 breast (2:13.00) also won the consolation heat of the 100 breast at 1:01.27…broke the oldest swimming record after she swam a 2:10.55 in the 200 breast after she finished fourth at the UGA Invite…added a third place showing in the 100 breast with another career best time of 1:00.47…won the 200 breast against Florida (2:16.93) and was second in the 100 breast (1:03.07)…was victorious in the 200 breast against FGCU, UWF and Florida Southern. a four-time NJCAA champ in 2016…led IRSC to the 2016 NJCAA team championship while swimming her career best times at the 2015 Georgia Tech Fall Invite in the 100 and 200 breast. She competed in the Southeast Asian Games in 2015 where she placed fifth in the 100m breast (1:12.16) and fourth in the 200m breast (2:36.57) in addition to the Commonwealth Games in 2010 and 2014.